Its an unfortunate fact that not all motorists drive with caution. Some drivers act recklessly, leading to accidents and severe injuries to innocent victims. Reckless driving is a dangerous problem which threatens everyone on Illinois roadways, and reckless drivers must be held accountable for their behavior. If you have been the victim of a reckless driver, an auto accident lawyer will help you pursue maximum compensation for your injuries. Goldberg Weisman Cairo is dedicated to helping each and every client hold responsible parties accountable for the devastation they have caused while securing the compensation our clients deserve. Our commitment to our clients is supported by our impressive track record of securing top settlements. Many drivers worry about speeding tickets, but fail to consider the other outcomes that could result from their speeding. 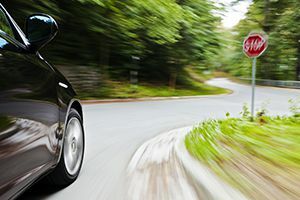 Disobeying posted speed limits is not only a traffic violation, but it can also lead to catastrophic automobile accidents. When a driver speeds, their reckless behavior puts everyone on the road at risk. Reckless driving accidents include high-impact crashes where speeding was a key factor. When speeding, reaction time and the drivers ability to control the vehicle are both compromised. Accidents involving speeding can cause far more devastation than an accident where drivers were obeying posted speed limits. These severe injuries typically require extensive medical attention. In addition to your immediate medical care, you may need long-term rehabilitation to help you regain function. You may be forced to miss work in order to receive care, which can affect you financially. These injuries can also impact your ability to work now and in the future, leaving you without a means to provide for your family. Many traffic offenses can be considered reckless, including speeding. In many cases, drivers guilty of speeding and other infractions will be issued a ticket and be ordered to pay a fine. Depending on the severity of the reckless driving offense, criminal charges may be pressed. Failing to obey traffic laws shows a likelihood that the drivers negligent behavior caused the accident. Even if the driver who caused your accident did not receive a citation, they can still be held liable for the accident and the resulting damages. Even if no traffic laws were broken or cited, careless behavior may still have been the cause of the accident. Drivers who behave in an unsafe, reckless manner can be held liable for the damages caused in a reckless driving accident. Reckless driving accidents can cause severe injuries which can have a long-term impact on victims. If you were hurt in an accident caused by a reckless driver, you may be entitled to collect compensation for your injuries. Our auto accident lawyers are well-versed in the laws which protect accident victims and can fight for your best interests. You may be able to recoup compensation for medical expenses, lost wages, pain and suffering, and other damages caused by a reckless driving accident. If a family member was killed in car crash caused by reckless driving, you may file a wrongful death claim on behalf of your loved one. Compensation from this type of claim can cover funeral expenses as well as other expenses related to the accident. A personal injury lawyer will be able to assist you in pursing compensation for the wrongful death of a loved one.